Ginger is grown throughout SE Asia, and Thai ginger is noted for it's outstanding quality. We are pleased to offer the finest ground ginger from Hand Brand, Thailand's best producer. 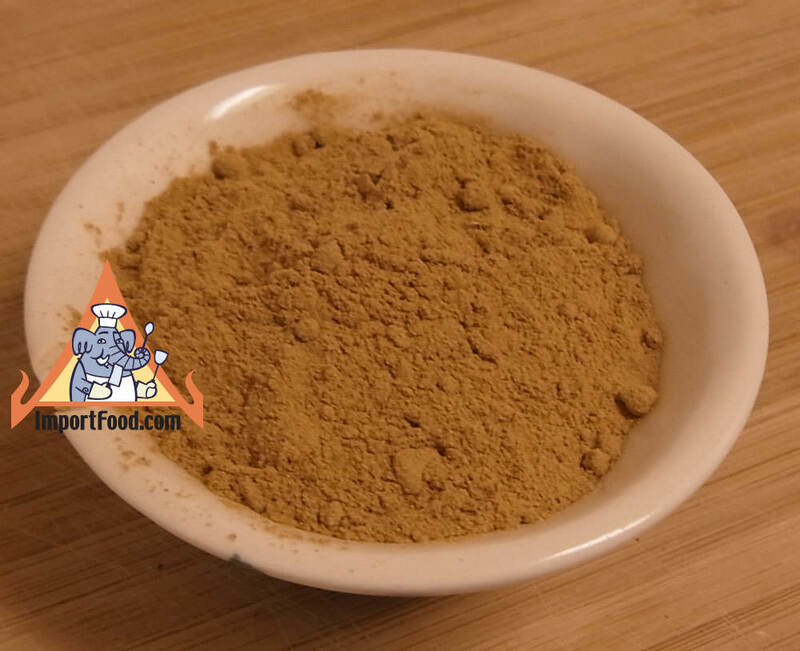 Use ginger powder in a wide variety of dishes--it's very healthy and useful for baking, marinades and sauces. One large company ordered a lot of this to put on gourmet popcorn. The hot, sharp taste of ginger works to cut the fattiness of meats, to strengthen the flavor of duller foods, and to add a bite of flavor to seafood and fish. Nice flavor added to our Thai icecream with chocolate ginger ganache. Also a variant ingredient in Gai Pad Grapao. Packed in a beautiful glass jar. Ingredients: Ginger. All natural, no preservatives. Product of Thailand.